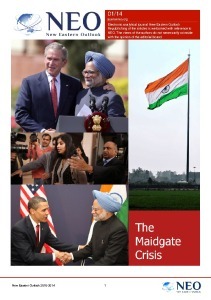 In 2005 Japan raised the possibility of a separate grouping of four nations, Australia, India, Japan and the United States, as a potential counterweight to the growing power of China. It was an ill-considered notion then, and nothing has happened since then to make it a better idea. If anything, it is a worse idea now that was 12 years ago. Notwithstanding the illogicality and counter-productive nature of the proposal we see the same four nations yet again raising the possibility of a “Quad” alliance. The one constant factor apart from the profound stupidity of the idea is that having an ambition to constrain China remains at the core. That Australia should even contemplate joining such an ad hoc alliance highlights the fundamental dilemma confronting Australia’s foreign policy. On the one hand Australian foreign policy and defence commentators, strategists and politicians constantly reiterate that United States is the cornerstone or bedrock of Australia’s security strategy. 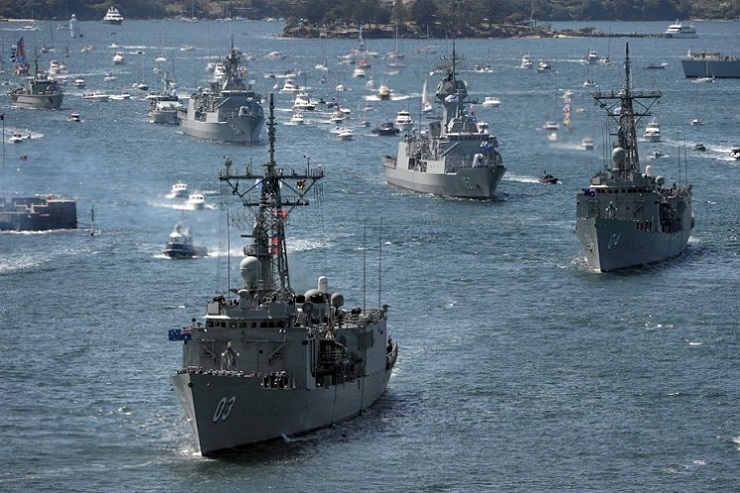 The rhetoric surrounding this reached its apogee last year with Prime Minister Turnbull declaring that Australia and the United States were “joined at the hip” on defence and security issues. The recently released trade statistics for the 2016-2017 calendar years are revealing. Of total exports of $291.4 billion, 71.8% went to the East Asia market (China, Hong Kong, South Korea, Japan and Taiwan). This compares with just under $19 billion for the whole of the European Union, and less than $17 billion for the whole of the Americas, from Canada to Patagonia. That latter figure was actually a decline of 5.9% over the previous year. Conversely, trade with China rose 27.1%, Hong Kong 45.7%, Japan 17.4% and South Korea 15%. In 2015 Australia signed both a free trade agreement with China, and also membership of the China initiated Asian Infrastructure Investment Bank (AIIB). In December 2017 however, Australia was participating in a meeting in India, the so-called Raisina Dialogue, attended by the next US ambassador to Australia, well known Sinophobe Admiral Harry Harris, and the naval chiefs of staff of Japan, India and Australia. Harris’s terminology reflected the language of the latest Pentagon defence strategy, released in December 2017, that label to China and Russia “revisionist powers bent on undermining the international rules based order” and accused China of “predatory economics” that sees its expression in the Belt and Road Initiative (BRI). It was no coincidence that the theme of the Raisina Dialogue was “managing disruptive transitions.” In one sense that is true. The BRI will certainly “disrupt” the existing order, both in trade and geopolitically. Whether or not one sees that as a good or a bad thing, depends in part on one’s view of the existing geopolitical order. This is the order that western politicians and commentators almost invariably cite as the “rules based international order”, the standard bearer and upholder of which is also almost invariably cited as the United States. One of the greatest difficulties in persuading Australians to address the dichotomy between their perceived security interests (US centred) and their national trade interests (East Asian centred) is to have them understand that the parrot like recitation of the United States as an upholder of the rules based international system is based upon a complete fiction. The BRI, contrary to Harris’s reported comments, is an outstanding example of multilateral peaceful development. Of course China wants a geopolitical benefit from its huge investments. The outstanding difference with the history of the Western great powers of old however, is that China does not and never has, sought to subjugate countries that provide its raw materials. Neither has it invaded other countries nor sought “regime change” in governments who failed to comply with its wishes. The lessons of history are clear for those not blinded by ideology and a fantasy view of reality. The Quad proposal is as internally inconsistent now as it was when first proposed in 2005. If it was truly a union of democratic forces seeking to provide peace and security in the Indo Pacific region, why then does it not include, for example, Indonesia, Singapore and South Korea? The reason should be obvious. Those three countries perceive the Quad for what it is: a thinly veiled anti-China alliance to replace the Obama administrations failed pivot to Asia. They are smart enough not to be associated with a scheme that would upset its most important trading partner and the major power in the region, if not yet the world. There are also doubts about the external consistency of the Quad proposal. When first proposed by Japan’s Prime Minister Abe in 2005, the explicit aim was to assist in Japan in resisting China’s inexorable rise is a geopolitical power in East Asia. Now, although there are some lingering disputes between the two nations, as in the Senkaku/Diaoyu Islands, Japan is also actively cooperating with China in the construction of bridge and tunnel links to the Eurasian mainland so that Japan can benefit from the BRI links to European markets. India similarly has a dispute with China over border issues, but it is also an important member of BRICS, recently became a full member of the SCO, and it is the starting point for the North South Transportation Corridor via Iran and Azerbaijan to Russia. 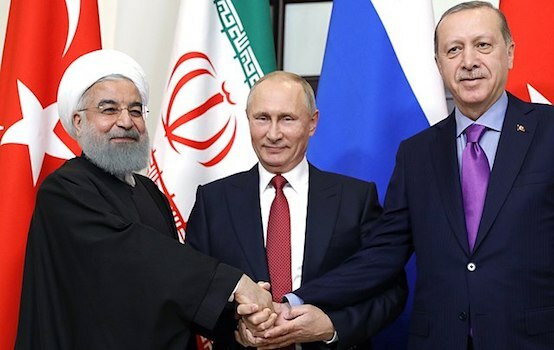 That development alone could not be seen as consistent with the United States’ geopolitical objectives, which currently demonizes both Iran and Russia on a full time basis. That leaves Australia, twisting on the horns of its self-created and unresolved dilemma. Despite the trade figures cited above; despite the apparent support of the Department of Foreign Affairs and Trade for Australia to join the BRI following explicit invitations from the government of China and the strong support of a number of business related groups who see it’s enormous potential; it seems that the real driver of Australia’s foreign and trade policy is the Department of Defence. The forthcoming ASEAN meeting being hosted in Canberra should be a golden opportunity to address the geopolitical realities. If history is any guide however, Australia will continue to foster its delusions and cling to the coattails of the United States. Until the confusion as to what constitutes Australia’s real national interest is resolved, the country will continue to follow the United States and its disastrous path to the detriment of Australia’s economic and political well being.